You can buy the best air conditioning unit or HVAC system on the market, but if it isn’t installed properly, you’re bound to run into trouble. 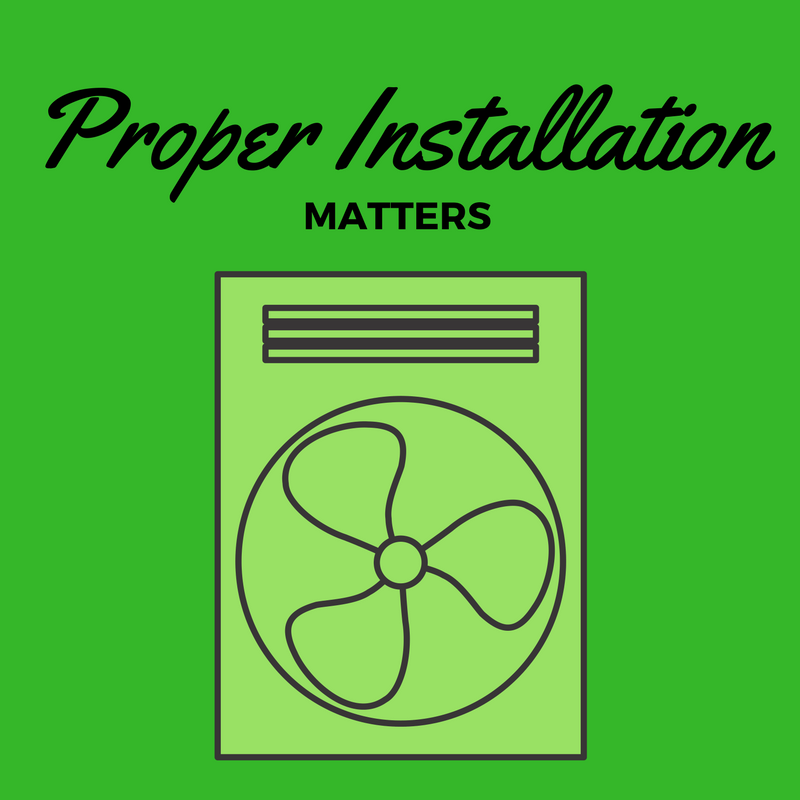 Proper AC installation always matters if you want to ensure a smooth, quality experience, which is why it pays to make sure the job is done by certified professionals. So what should you look for in a proper installation? 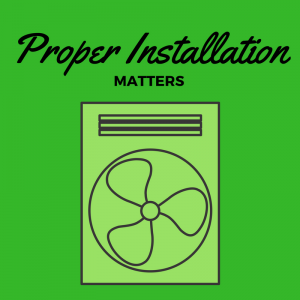 Here are a few things a certified and licensed professional will look for when doing a proper install. When it comes to choosing the right AC unit or HVAC system, you want to look at more than just the list of benefits and features listed by the manufacturer. A great system can only live up to its reputation if it’s properly paired with the right job. For example, if a unit is built to cool a space that is half the size of the one it’s installed for, it won’t have the capacity to properly regulate the temperature. Instead, it will simply run constantly, running up your energy bill while never reaching the comfort levels it’s striving to achieve. A system that is too big for the job can also cause long-term problems. The issue here is that it will condition the home or business too quickly. This may not sound bad at first, but it causes the system to turn on and off quickly, and often, wearing out the parts and shortening the system’s lifespan. In both of these scenarios, the system isn’t a bad one, just the wrong one. A proper AC technician will make certain prior to an install that the unit you’ve chosen suits the home or business that it is going to serve. They also can inspect the HVAC system to make sure that the ducts and other components are in good shape as well. After all, a good unit cannot do its best if other parts of your building’s HVAC system needs repair. All AC units are not created the same. If they were, you wouldn’t have so many options available in today’s market. Every brand and every style is created with its own unique design, strengths, and formula for how it runs best. A good technician always reviews the specifications to make sure that the install meets the system’s personal needs. This includes important elements such as refrigerant charge. These specifications have to be correct or else it could lead to issues caused by overcharging or undercharging. An overcharged system can lead to poor or inefficient cooling and, in worst case scenarios, lead to irreversible damage caused by pressure forcing the coolant into the compressor motor. An undercharged system may freeze over the coils, which can also lead to an inability to cool your home properly. In summary, a good experience with your air conditioning unit always starts with a good install. If you aren’t certain how well your system was installed and it’s been awhile since you’ve had a technician come out, consider a maintenance call! Your AC unit should always have an annual maintenance visit to make sure your system is in working order and that no parts are worn down and in need of replacement. Southwest Florida residents can contact a FL Green Team representative today at 239.432.1500. We currently serve Charlotte, Collier, and Lee Counties.